3) Awarding academic credit (graduation plan, college credit, and Advance Placement (AP) college credit) for CTE course work. Research supporting integration of academic and career education can be found in The National Research Council’s work on Highly Effective Schools. The Council analyzed criteria for effective STEM (science, technology, engineering, and mathematics) education and finds: students are more likely to develop an interest and succeed in STEM learning when they have experiences that engage them in the practices of math and science and sustain their interest through opportunities to solve real-world problems, design engineering projects, carry out scientific investigations, and visit worksites or complete internships. Request samples of our CTE Computer Science titles today! Although STEM only accounts for approximately 6% of jobs in the U.S., almost all CTE programs and related target occupations include requirements to master math, science, and English Language Arts subjects. 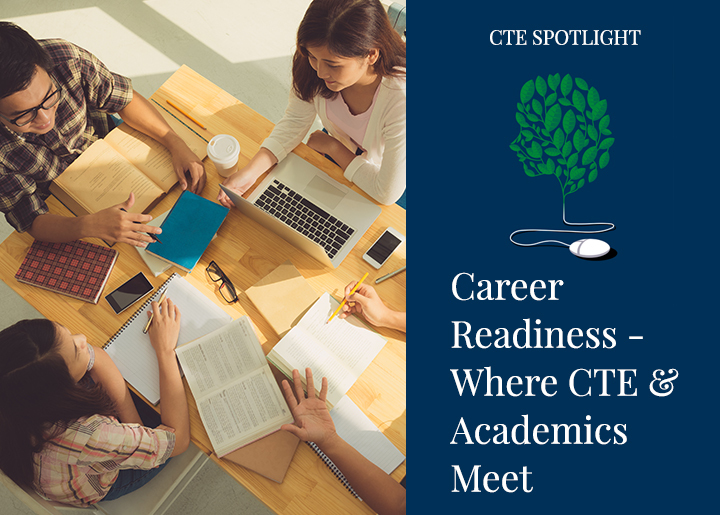 As a result, CTE is experiencing growth as a platform for educational innovation—advancing student’s college and career readiness. In order to meet the changing needs of civil society, the labor market, and education, both academic knowledge and technical skill is essential to preparing children for their future. The solution is to unify classical and contemporary education rather than eschewing one for the other. As CTE advances, the Department of Education is measuring student outcomes related to academic attainment and other measures. To find out how your State is performing, you can view data at the Perkins Collaborative Network.